The International Red Cross says the airstrike hit a bus full of children, parked in a busy market in Dahyan, in Sa’ada province – controlled by the Houthis. The Saudi-led coalition is fighting to defeat Houthi rebels who expelled the Yemeni government from the capital and took control of vast swathes of the country. 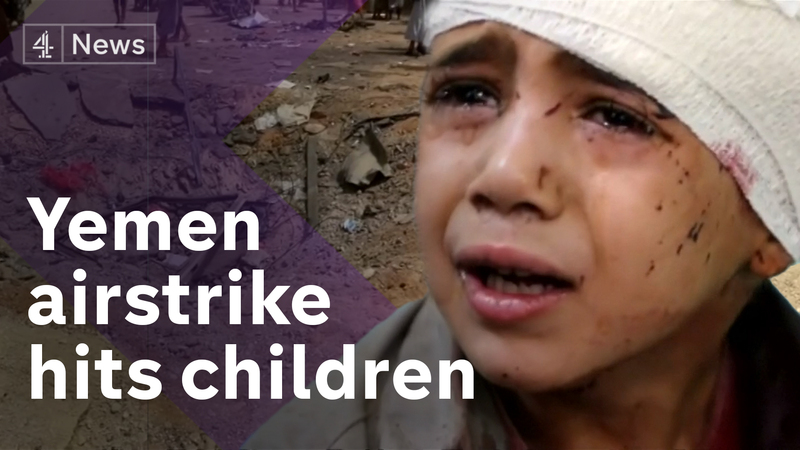 Most of the images of the children hit by this airstrike are so gruesome the broadcasting rules don’t allow us to show them – but a warning, the report still contains distressing images.